as soon as i made plans for portland, i emailed miss camille of the childhoodflames and was like GURL GIMME THE INFO..because duh. not only did she send me an epic list, she offered to take me on a lil walking/streetcar tour of vintage and designer amazingnessssss...i ACCEPTED and on monday we met up and had some fun. CHANEL SILVER SEQUINZ. so. DOPE. 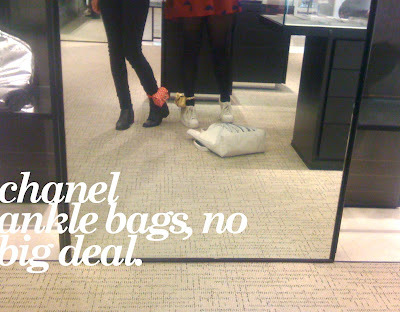 chanel ankle bags! remember these? inspired by lindsay lohan's ANKLE MONITOR?! ohhh KARL, you card...they were hilarious. if i had a spare 200 (clearance!) i woulda considered it, HANDS FREE IS THE WAVE OF THE FUTURE! yah? PSA: this dries collection is as A-MA-ZINGGG in person as you would want it to be. the beading/sequinnage is badonkz. 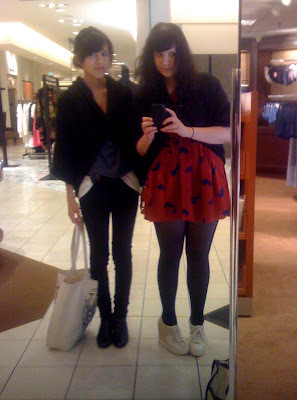 this dress looked terrible on me but i still liked wearing it. i mean...if you looked like this in this dress mabes you would shed hot salty tears, too. it was the lightest thinnest silk ever with a bajillion beads n sequins at the top. it was SO SICK. we decided: the tiny gold patch MADE the dress. and as i have been asked by more than a few: camille is as lovely and sweet and cool in person as you would expect. as she is a tad shyer than me, i talkedtalkedtalked most of the time....(duh, obvs, duh). thanks again, camille!!! I've still yet to venture among the designer rackage in Nordie's/Bloomie's for fear of disappointment at my salary and its (in)capabilities. Blogger meet-ups are definitely the shiz. Glad to hear you two had a good time. 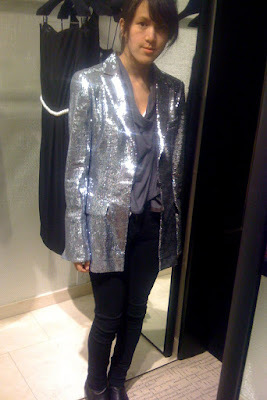 That silver sequin jacket pretty much kills me, though. 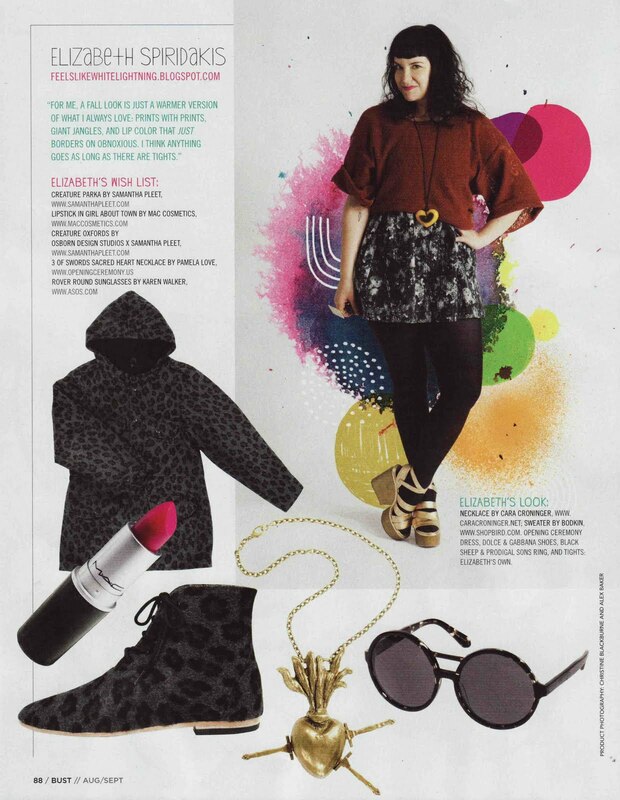 also, i am loving that sequined chanel jacket. i had the BEST time. so much fun. still totally heartbroken over that dries dress though. sad face. so psyched about hitting the bins next week. can't wait! ps. while you're in seattle you should check out impulse/totokaelo. i've never been but they seem to have cool stuff. 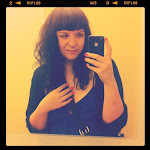 hi, i found your blog from camille's blog...so funny, i love it! i used to live in portland. i don't miss it a lot, living by the sea is so less hectic and people are a bajillion times friendlier here. Anyway, since you'll be out in sellwood anyway, you should try to make it to milwaukie, to the best little thrift store - the salvation army. It was my favorite, it was never picked over and always had the most amazing costume jewelry for so, so cheap. I think it's worth a look, anyway. Camille I can entirely understand why you'd be heartbroken over that dress, it's so awesome. Now I really want to hit up Portland. The Dries dress is amazing. Looks like you two had a great time. I love the Chanel ankle bags..but maybe a little too reminiscent of LL. The Chanel ankle bags are quite a concept.